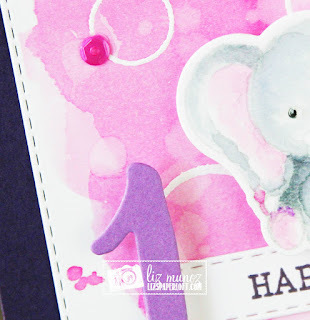 Liz's Paper Loft: MCT Trending Now: Mixed Media ~ happy birthday! I created this sweet birthday card by first heat embossing white circles, then watercoloring the background. For the elephant, I stamped it using the "stamp off" technique, then watercolored it. Lastly I added the "happy birthday" banner and the #1. OMG Miss Liz....How Adorable is your Mixed Media Tag. You are so right the Mixed Media Thoughts go to more Masculine ideas and you sure showed that doesn't have to be the way at all....Your tag is absolutely Prescious, Pretty & Adorable. 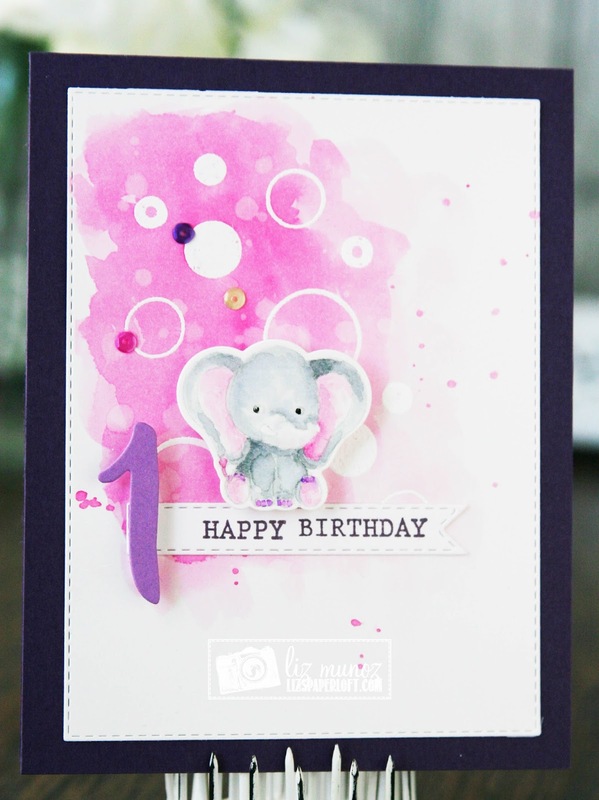 Love the ways you used Miss Emma's goodies!! Your inking and embossing is so pretty. To coin Miss Emma's Phrase Girl You So "Nailed It"!! You definitely did a super outstanding creative Mixed Media Job!! YOU so ROCK!! This s so delicate and gorgeous. 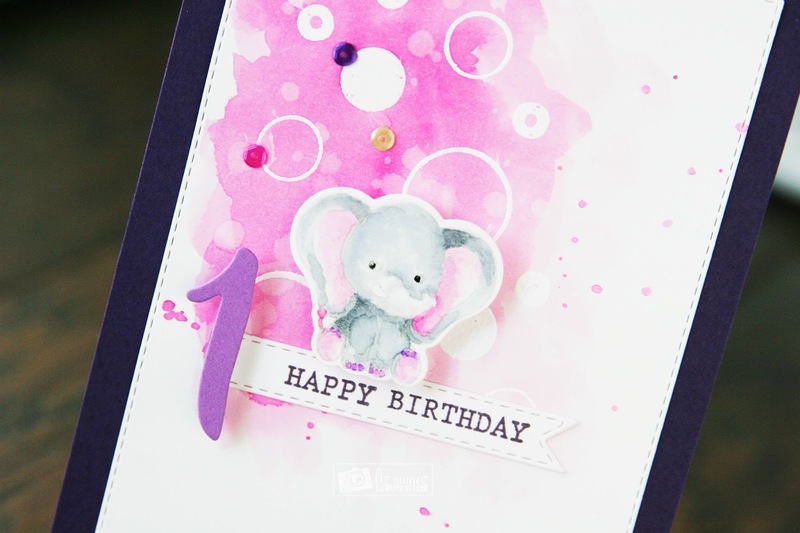 I love the stamp off on the elephant...just enough to see where to color...looks totally water colored. Great job on your mixed media! Your card is adorable. Liz, this is so darling!!! I just love it!